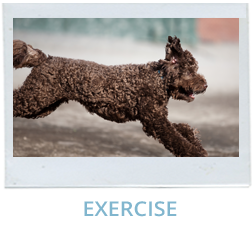 In our communities, the term wellness translates as a good mix of emotional, physical, and relational satisfaction, and at Native Dog Wellness, we’re in the business of finding that for your dog! At Native Dog Wellness, we specialize in training, massage, and exercise. Native Dog Wellness was created by Certified Professional Dog Trainer and Certified Small Animal Massage Therapist Amy Campbell to bring the benefits of wellness to the canine community. Every dog is different, and our services cater to dogs starting at 8 weeks to 18 years, all sizes, and all breeds. Canines are a diversified species and what may be right for a pug, may not be right for a doberman. At Native Dog Wellness, we respect the individuality of your dog and cater our services to your needs. In the midst of an urban setting and busy lives, we provide ways for dogs to exercise, socialize, learn, thrive, and be well. By having a Certified Professional Dog Trainer as the head of this business, you are sure to have experiences that are positive, up-to-date, scientific, and force-free that work! Our aim is to make canine good citizens and teach humans how to train, trust, and provide for their dogs. We also believe that the best efforts are community efforts. Through connection to community, we can have a bigger impact in canine culture. Native Dog Wellness is dedicated to helping dogs thrive in an urban environment in a way that is respectful of their differences & without fear, intimidation or force. Our wellness focus was born through dedication to caring for every aspect of our dogs and the families who love them. We believe in building an intentional, educated, positive, cooperative community that benefits dogs and humans alike. The American Veterinary Society of Animal Behavior (AVSAB) recommends that veterinarians not refer clients to trainers or behavior consultants who subscribe to dominance theories and confrontational training, but instead refer clients only to trainers who follow the scientifically based guidelines of positive reinforcement, classical and operant conditioning, desensitization, and counterconditioning.